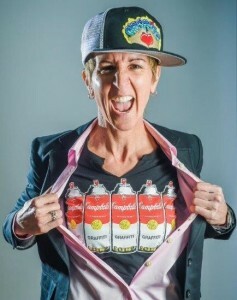 Why she’s interesting: As the founder and president of the nonprofit Graffiti HeArt, Paul uses her love of graffiti to help promote street art and fund art scholarships for local students. Her work has brought artist Victor Ving’s “Greetings From” tour to Cleveland and secured the space for his “Greetings From Cleveland” mural in Ohio City. Graffiti HeArt has already raised enough to send two high school students through the Cleveland Institute of Art’s Pre-College Program. Can Do: New projects are always in the works. Plans could include working with a local developer to create murals at shopping centers, and she’s talking with a local businessperson about developing a mural outside their building.